Setting up a guest house in South Africa can be fraught with many pitfalls. Adding to such complexities such as sourcing the correct property, location, financing and licensing is the fact that in most cases the guest house not only serves a business function but also that of a family home. The Intergate Group recommends South Africa’s leading independent buyers consultancy – SA Homebuyers – a property consultancy, that differentiate themselves from a normal estate agency, by providing a service that is dedicated solely to the buyer. SA Homebuyers can boast of years of experience in helping clients with setting up a guesthouse and are particularly in tune with the rigours experienced by the foreign buyer. Setting up a guest house in South Africa and purchasing the property is very different to the process in many other countries. Most importantly it is essential to remember that estate agents act on behalf of the seller of the property and are mandated to obtain the very best price, terms and conditions on the seller’s behalf. In addition to this, most are experienced only in the residential market whereas a guest house is classified as a commercial purchase. One of the first steps in setting up your guest house is to secure the purchase of suitable premises. When making an offer to purchase on your prospective guest house an ‘offer to purchase’ document is completed – please note this is a legal and binding document that, if accepted, forms the basis for the purchase. Our experience shows us that the same offer to purchase is utilised for purchasing domestic dwellings as it is for commercial premises such as guesthouses. In reality the terms and conditions need to be very different and consider such items as zoning, existing bookings, fixtures and fittings, web sites, promotional material, the legal structure of the business, etc. Location – Is the setting up of a guest house in line with the likely tourism market? Is the location suitable for a re zoning application if required? Will the location be suited to the style of client you are looking to attract – business or tourist? Budgeting and Financing – What are the associated costs with setting up a guest house? What is transfer duty and how much is it? Is property financing required? Property Sourcing – As the raw ingredient of the business, the purchase of the correct property is essential. Independent and comprehensive searching of the whole marketplace is required. SA HomeBuyers has connections with major estate agents, the tourism industry and ‘off market properties’. Formulating your offer – What should you offer and how do you know the correct price to pay?What clauses should be inserted into an offer for a guesthouse and what do different clauses mean? How does it differ from the purchase of a residential home? Legalities – Who represents you, the buyer, and ensures your interests are catered for during the formation of the offer to purchase and throughout the transfer process? Zoning – What permissions are needed? How does zoning effect the location of your guesthouse and what issues are there with planning for the setting up of your guesthouse? 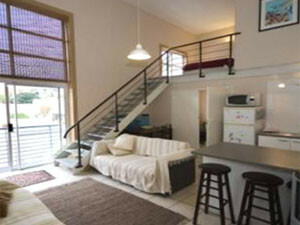 As a foreign buyer, purchasing a Guest House in South Africa, you could not be in better hands.